Yesterday's location scout left me feeling renewed & inspired. I took a little trip out to Middleton to scout the beautiful locations for this evening's wedding. And I have to say, Middleton Beach has well and truly captured my heart. Big & beautiful, yet softly deadly. The fierce waves tempt you into the water, spanning into the distance, a reminder of the power of the ocean & a warning of strong currents. A cool 20 degrees kept me safe on the shore with feet dipped in shallows watching new surfers practice their craft. 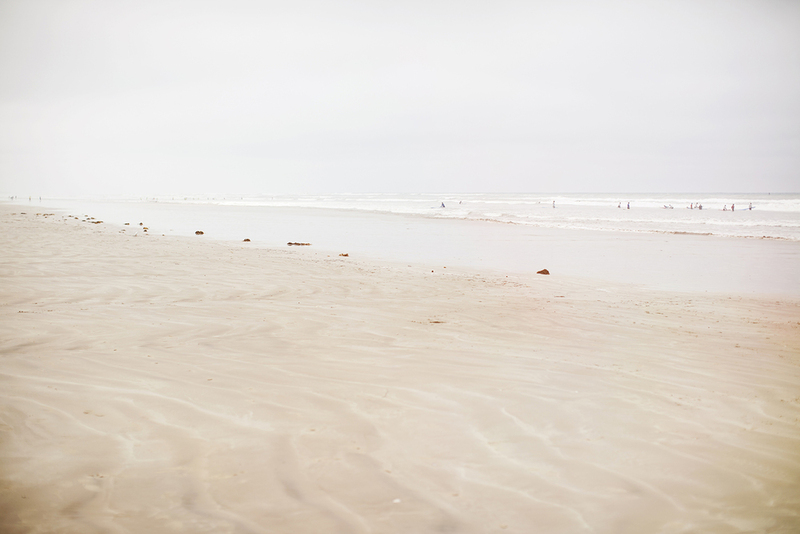 There's just something about the expanse of this beach draped in misty softness that seems so simple, natural & calming. I was lost in my thoughts here for as long as I could spare. Looking forward to visiting these fierce shores again tonight! These photos are my more simple & minimalist interpretation of the soft soul of the place.